Learn three easy and delicious ways to use vanilla beans and add amazing flavor to your baked goods, beverages or breakfast foods. "Give Thoughtfully" by packaging these homemade delights with special baked goods from your kitchen. The perfect thing for holiday gift giving! Vanilla beans can be found at specialty grocery stores, spice stores or online. They are usually marked by a "grade." Grade A being the best, Grade B being a bit dryer and so on. Grade A vanilla beans are the easiest to scrape so I highly recommend splurging on the higher grade. To scrape a vanilla bean pod, place it on a cutting board. With a very sharp knife, slice it down the side. Place a finger on the pod as you slice to hold it firmly in place. Open the pod and scrape the insides with the knife. It will look like a dark, sticky clump. This clump of flavorful goodness is what you will add to your recipes! Put the sugar in the bowl of a small food processor. Split the vanilla beans lengthwise and scrape out the inside of the pods with a sharp knife. Add the scraped vanilla to the sugar. Combine until the vanilla is mixed in well. In a medium saucepan over high heat, combine the water and vanilla sugar. Let it come to a boil, stirring occasionally. Reduce heat to medium and simmer for 3 minutes, still stirring. Remove from heat and let cool. Using a funnel, pour into bottles or jars with well-sealed lids. Add a vanilla bean to each bottle for extra flavor. Can be stored in the refrigerator for up to two weeks. 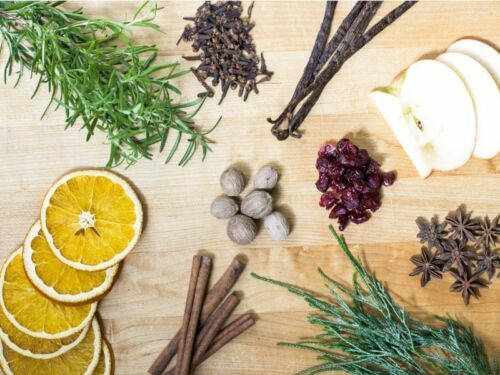 Flavoring for coffee, tea or cocktails. Use as a topping for toast, pancakes or waffles. Pour into glass shaker jars using a funnel, and add a vanilla bean to each jar. You may have to cut the beans in half to fit inside the jar. OR pour all the sugar into an airtight container and use for baking. Make sure to add a vanilla bean or two to the jar. Substitute for regular sugar and vanilla in any recipe that calls for both. Sprinkle on buttered toast or oatmeal. Use in coffee, tea or fruit infused water. Using scissors, cut 6 vanilla beans into thirds. Place in one of the mason jars. Repeat for the second mason jar. Add the vodka to the jars and seal tightly. Cure for two months. Store in a convenient place because the jars need to be shaken two or three times per week. Using a large strainer over a pitcher, pour the jars of extract into the pitcher. The strainer will catch the pieces of vanilla beans and any other small bits. Pour the extract from the pitcher into four 8 oz. glass bottles or jars. Add a fresh vanilla bean to each one and seal tightly. 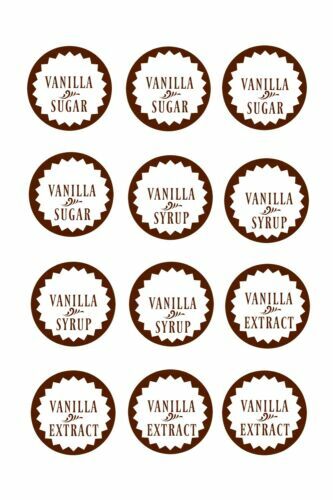 Below you will find a set of printable tags to attach to your vanilla products if you wish to give them as gifts. Right-click the image and select "Save as." Once you have downloaded the image, retrieve it from your files and print. Click the caption under the images below for more gift giving inspiration from On Sutton Place and eBay...where you can shop all things holiday! Would you like more inspiration from On Sutton Place? I share DIY decor ideas, gardening tips, easy recipes and an occasional craft project. 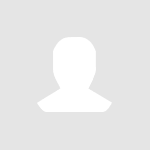 Follow On Sutton Place on eBay for everything you need to decorate, bake and create!